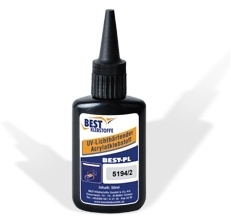 BEST-PL UV-adhesives are UV- or lightcuring adhesives for bonding of glass, translucent synthetic materials among each other or with metals, ceramics and non-translucent synthetic materials. 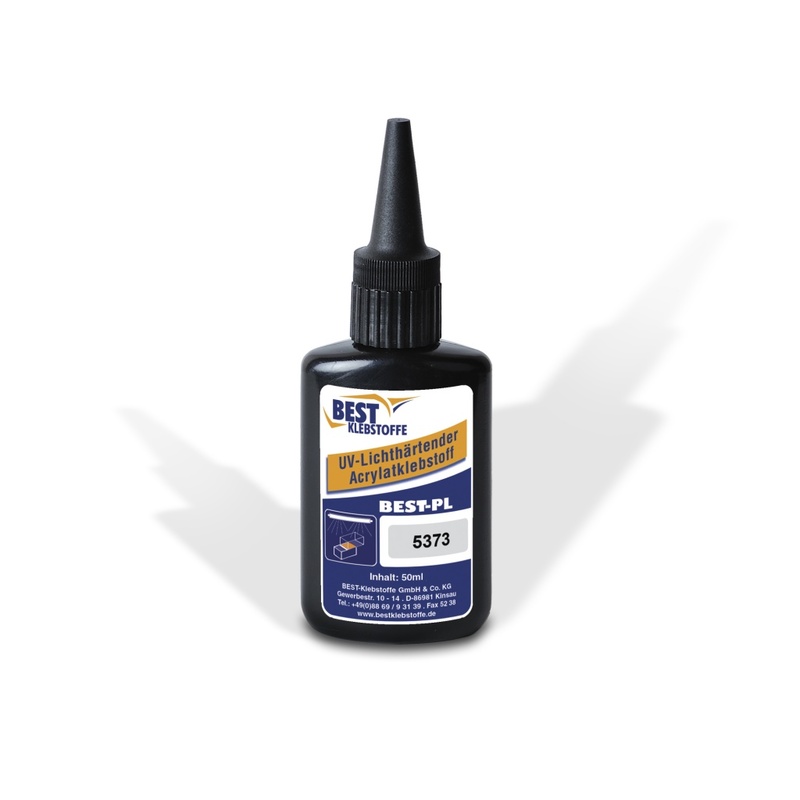 BEST-PL UV-adhesives are one-component, modified adhesives based on acrylate. They cure at room temperature under exposure to UVA- or visible light. Some product types can be additionally cured by heat, anaerobically and with activators. Product types vary in flow properties, flexibility and viscosity. Special feature is the short cure time and easy application. Especially interesting for smaller applications are the BEST-PL products, which can be cured by visible light. No expensive UV-lamps are necessary. Halogen spotlights, availabe in your local construction market at a price range from approx. 30 – 50 EURO are completely sufficient. low viscous, crystal clear curing adhesive preferably for bonding of acrylic glass (Plexiglas).